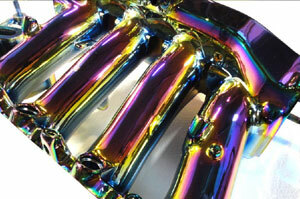 Our Aurora NeoChrome finish on top and our Ultra Nebula on the bottom. Honda k20 engine covers. March 5, 2015 by wayne chan. 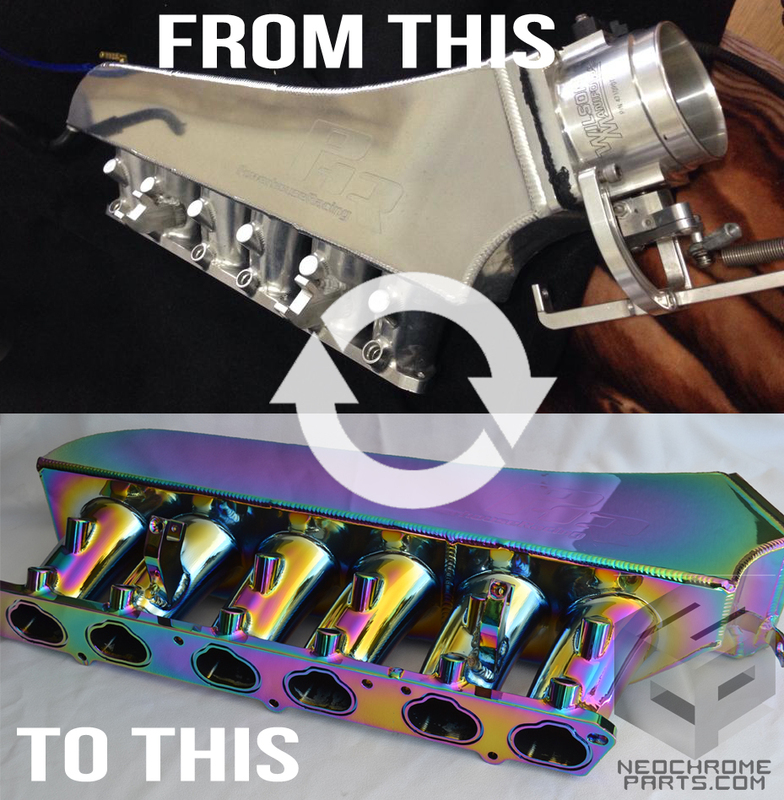 Since 2001, We are the premiere company to get your parts done in our awesome NeoChrome finishes! We have customers world wide so don't be shy to contact us. Send in your parts, we'll get them done and send them back.